CASTLE SHANNON, Pa. — The Baldwin Highlanders defeated the Upper St. Clair Panthers, 6-3, to clinch the final Southeast division playoff spot in Class-AA. Fresh off of three straight losses, Baldwin needed a win to keep their postseason hopes alive. With a victory by the trailing Penn-Trafford Warriors over Greater Latrobe earlier in the evening, Baldwin needed the win to clinch a playoff berth while Upper St. Clair needed the win to clinch the top seed in the division. The Highlanders set the tone early, scoring just 35 seconds in off the stick of Jason Kavulic. With just under 10 minutes to play in the first period, Andrew Golvash netted his first of what would be four goals to give Baldwin the 2-0 lead. Upper St. Clair eventually battled back, scoring their first goal of the night on a 5-on-3 power play by Devin Rohrich. The score remained 2-1 into the first intermission. Upper St. Clair tied the game 2-2 when Mark McQuade snuck one past Highlanders goaltender Cole Shannon 8:13 into the second period. Golvash netted his second of the game to break the tie a few minutes later. The third period was where Baldwin piled it on. Captain Nathan Hobson started the third period scoring with a goal 3:21 into the period. Less than a minute later, Golvash got his senior night hat trick. 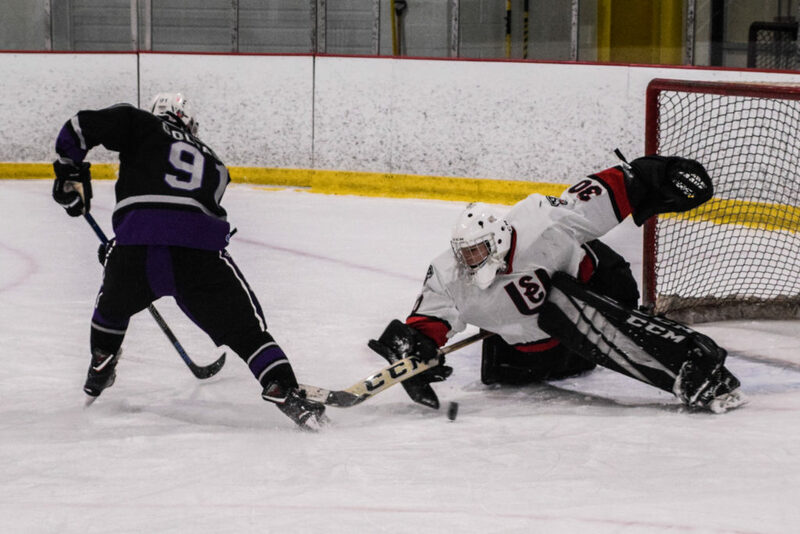 Rohrich got his second of the game for Upper St. Clair just past the 9:00 minute mark of the period to bring the Panthers to within two before Golvash put his fourth of the night in, sealing the 6-3 victory a the Highlanders held on.